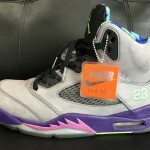 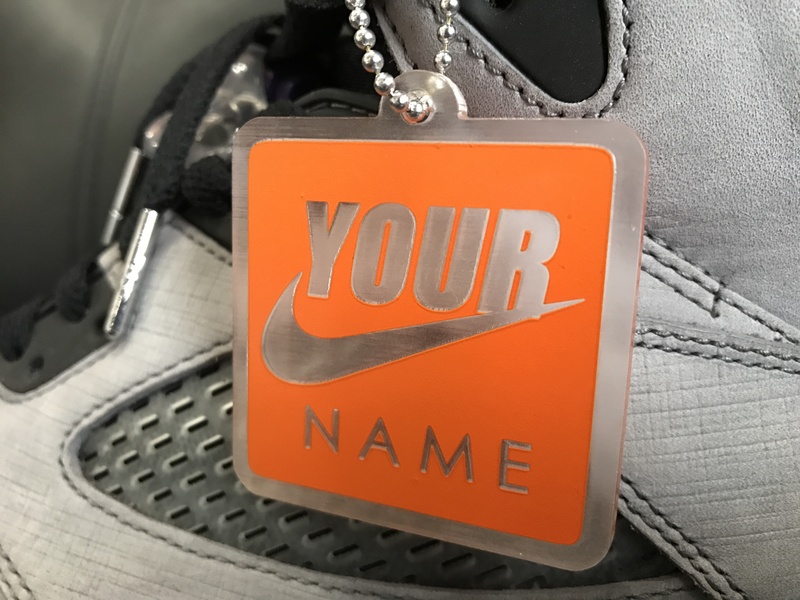 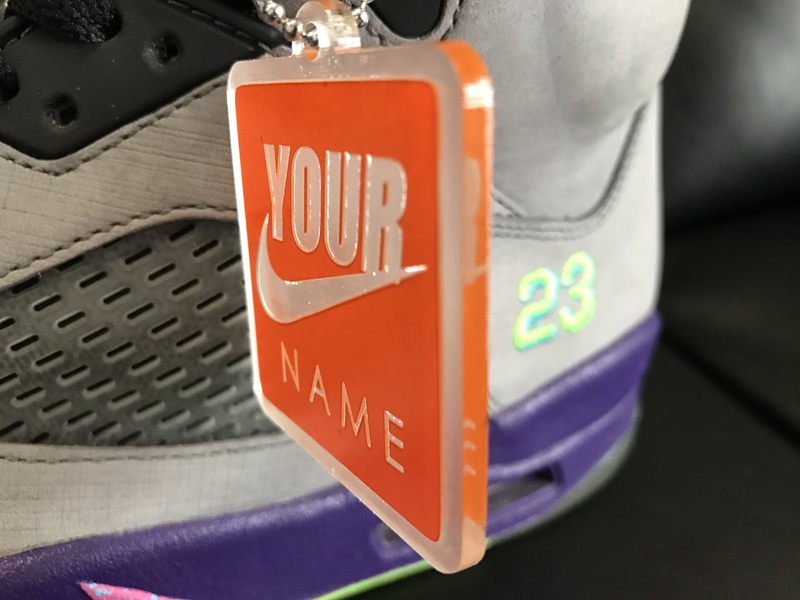 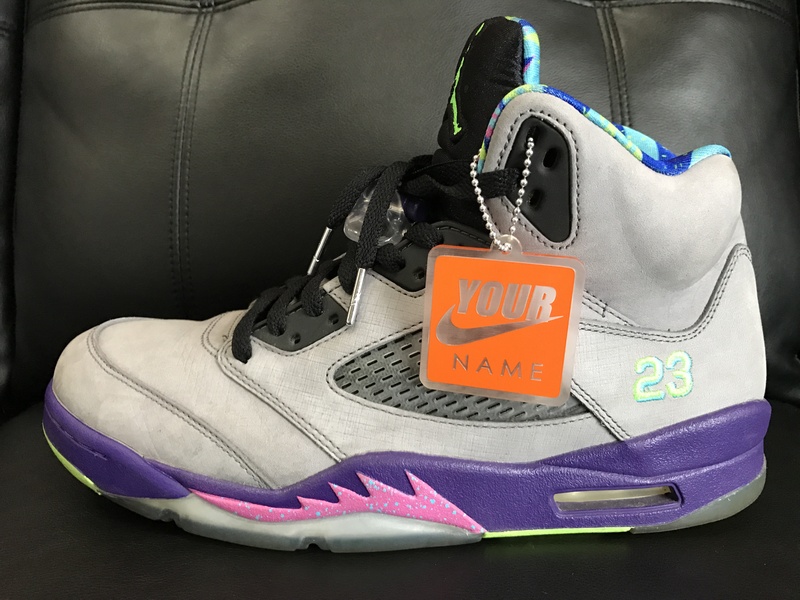 Get a custom hang tag to pop on your sneakers! 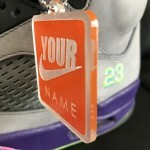 These premium hang tags are made from 1/8″ acrylic and lasered to your custom name. 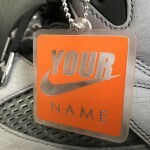 Clear and orange design with the “swoosh”.